Hey folks! I'm Mary, the Outing Club President! 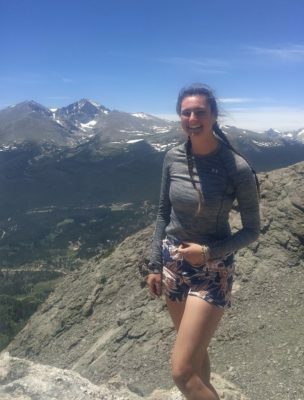 I like backpacking, climbing, the mountains (specifically Long's Peak), ukuleles, outdoorsy people, using exclamation points when I type, and trail work! Get your adventure on and go somewhere great with HOC! You can always reach me at outingpresident@hoofers.org with questions about anything outdoors! Hey there! My name is Aidan Roberts, Hoofer Outing Vice President. 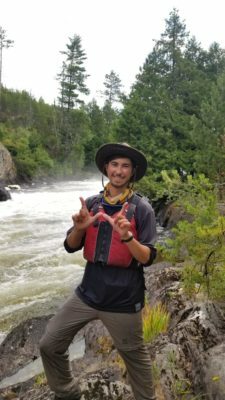 I am currently a junior at UW studying Statistics and Conservation Biology. When in the outdoors, I enjoy backpacking, climbing, scuba diving, and sleeping on picnic tables (as pictured). I am very excited by clubs potential for growth this year. In my time as VP, I hope to facilitate a welcoming environment within the club conducive for both learning and having fun. Feel free to e-mail me at outingvicepresident@hoofers.org with any questions or concerns you may have. See ya out there! 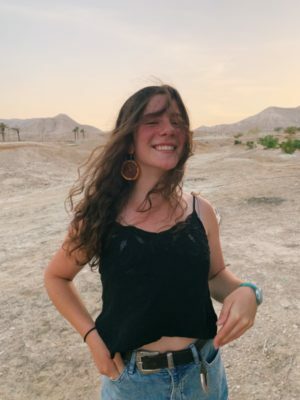 My name is Sophie Lackner and I am currently the Hoofers Outing Treasurer and a backpacking trip leader. I am originally from the beautiful Bannockburn, Illinois where my passion for hanging out outside truly began. My goal this year as treasurer is to make trips more accessible to a wide array of students here at UW-Madison. If you have any questions or want to get in touch with me, you can email me at treasurer@hooferouting.org! 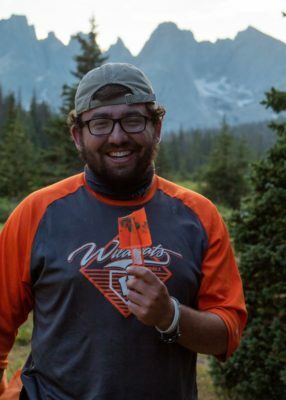 I'm the Equipment Manager, the Instruction Chair, and I lead backpacking trips as well as participate in other activities. Let's just say a large amount of my life is devoted to Hoofer Outing. Hey y’all! I’m Leah. 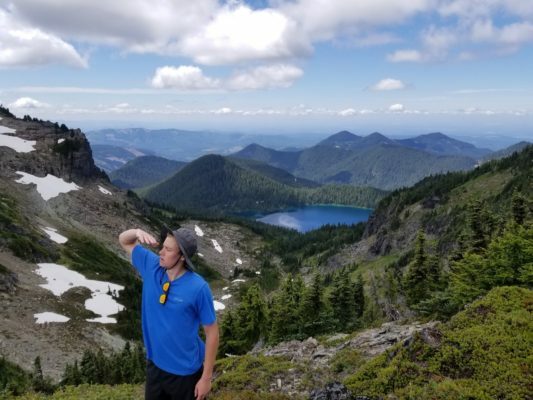 I lead backpacking trips and I’m the land safety chair! Nature is neature and hiking is a good time. Hydrate or diedrate! 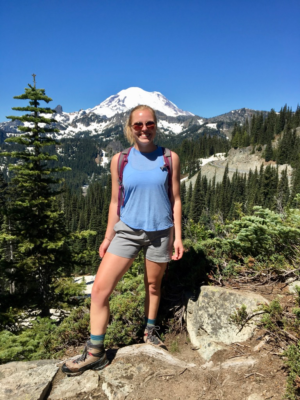 I have been paddling, camping, and spending time in the great outdoors my whole life, so when I joined Hoofers as a freshman student in 2009, it felt like home. I am especially involved in Hoofer whitewater trips, paddling both kayaks and open canoes. I am currently serving as a Water Safety Co-chairperson, so I approve all boating trips and trip leaders. 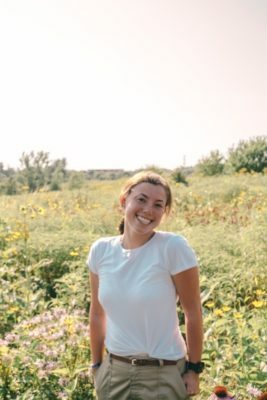 Annie is from Iowa City, Iowa with roots in Minnesota. She loves running, the outdoors & planning all things social. She’s probably smiling right now. Hello! I'm Emma. I have a passion for all things paddling, backpacking, camping, hiking, and adventure related. 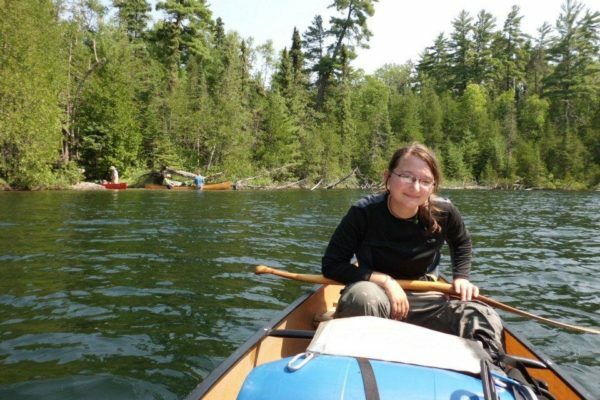 The outdoors has been an integral part of my life ever since my father introduced me to the Boundary Waters Canoe Area as a young child. Successfully portaging a canoe at the age of 12 was my single greatest accomplishment in sixth grade! If you have questions regarding social events, please shoot me an email at social@hooferouting.org. What's up! I'm Eric, the webmaster for the Hoofer Outing Club. 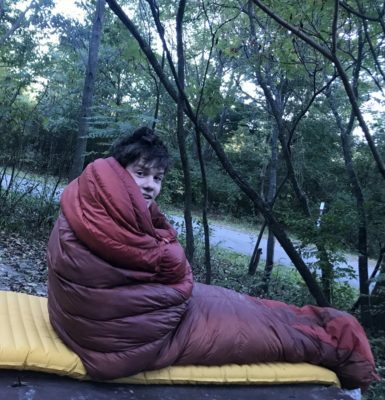 I'm a Senior studying Computer Science and I've gone on various backpacking and whitewater kayaking trips with the club, basically just in search for the dopest hammocking spots I can find. If you have any questions about what I do or want to take over this position next year with updating and designing our website feel free to shoot me an email at tech@hooferouting.org!